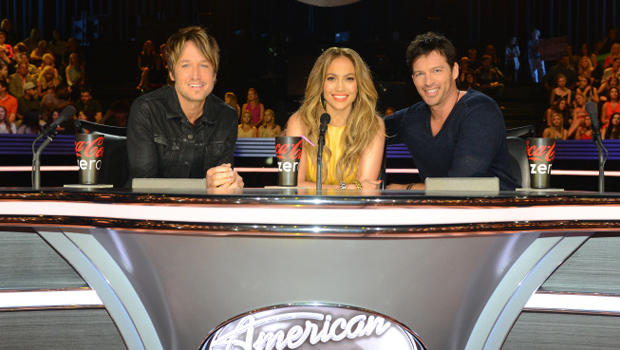 "American Idol" will be back for a 14th season, but with some changes in store. Fox entertainment chairman Kevin Reilly told reporters Monday that the talent competition will be "streamlined" when it returns next year, Entertainment Weekly reports. Reilly said the show will have fewer hours -- "around 37," instead of the usual 50-plus it's been airing -- and added, "I think it will be a two-night format initially during the audition phase, and will quite likely end up as a two-hour show on one night for most of its run." If that comes to pass, "Idol" will be following in the reality TV footsteps of "Dancing with the Stars" and "So You Think You Can Dance," which were also trimmed down to one episode per week. But while they show may be changing, its faces will likely remain the same. Ryan Seacrest just closed a deal to come back next year, according to Deadline, while judges Jennifer Lopez, Keith Urban and Harry Connick Jr. are reportedly in different stages of negotiations but all expected to return. Tell us: Will you tune in for another season of "American Idol"?